For the next few months I want to touch on a few things that really make for an effective CHURCH. This month I want to talk about the role of FAITH in the Church. 2 Corinthians 5:7 tells us that we are to walk by faith and not by sight. Hebrews 9:27 says that without FAITH it’s impossible to please Him. In fact, Jesus is drawn toward faith. Years ago Henry Blackaby wrote a book/curriculum entitled, “Experiencing God.” It was one of the most powerful books I have ever read. One of the many life changing quotes in that book was, “You cannot stay the way you are and go with God.” I believe that applies not only for the individual, but also to the Church. Too many individuals and churches are playing it safe by operating within its their own means. People say, “God will never ask me to do something I can’t do.” That has not been my experience at all! Over and over again in Scripture you see God asking people to do that which they could NEVER do on their own. The kind of assignments God gives in the Bible are ALWAYS God sized. They are well beyond what people can do so that God can demonstrate His power and grace to His people and a skeptical world. I’m not saying that we should go out and live reckless lives, but I think too often we play it way too safe. That is walking by sight. Walking by sight is the opposite of walking by faith. God never leads us to do something that He doesn’t also provide us a way to accomplish His will. Our mission statement is: To Know Christ and to Make Him Known. One of the best ways to make Him known is for the world to see what God can do with a person that walks by faith. The world needs to see not only the GRACE of God, but also the POWER of God manifested in His church. What would’ve happened if the early church played it safe and chose to simply operate within its own resources? Scary thought. I’m not sure there would be a church today. 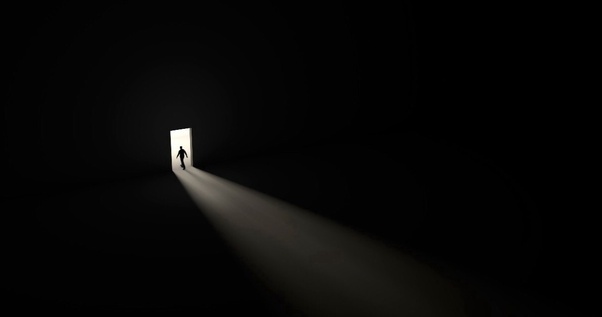 What make the early church powerful was that it chose to walk by faith and NOT BY SIGHT. Two questions for this month: (1) What is God calling YOU to do that requires faith? (2) What is God calling US (as a church) to do that requires faith. Remember, without faith it is impossible to please God. You say, “I don’t think I can do what God is calling me to do.” Perfect! That it means it’s probably a God sized task in which you have to depend on Him. He wants you to depend on Him! I would encourage you to be honest with God with your struggles. Remember the father that struggled with his faith? He said to Jesus, “I believe, but help my unbelief.” You know what? Jesus helped him and I believe He will help us as well IF WE ASK. This month I want to share with you some thoughts on FELLOWSHIP. The church is called the BODY OF CHRIST. That is, when believers meet together in His Name that the world ought to be able to see Him more clearly. Jesus said in Matthew 18:20, “For where two or three are gathered together in My name, I am there in the midst of them.” The church is very important in making Christ known. 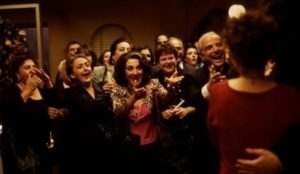 One of my favorite movies is, “My Big Fat Greek Wedding.” It is a comedy love story based on the real-life experiences of Greek American Actress Nia Vardalos. At 30 years of age, this unattractive, slightly overweight woman seemed doomed to be a hostess in her father’s Greek restaurant for the rest of her life. But Toula has dreams of a better life. Those dreams cause her to made something out of herself. She goes to college and then lands a great job where she meets and falls in love with a long-hair, non-Greek, English teacher, Ian. Ian’s parents are a wealthy couple without any kind of real extended family. One day they accept a dinner invitation at Toula’s parent’s home and are shocked at what they find. As they drive up to the house, nearly 100 people – the entire Greek clan, greet them on the front lawn with hugs and kisses. Amid the dozens of cousins, aunts, and uncles (most of whom are named “Nick”), there is a goat hanging on a spit over an open fire. Toula’s father smiles and says, “Welcome to my home!” Toula’s mother approaches the bewildered couple and gives them the traditional hug and kiss on the cheek. The initial shock eventually begins to wear off and soon they start to relax once they realize how much they are loved. 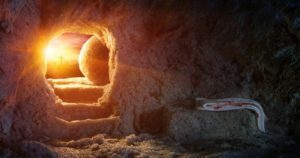 Posted on March 9, 2018 by Bill Stegemueller | Comments Off on Resurrection Sunday! If you were to ask me, “What’s the greatest event in history?” I would have a hard time answering because I can think of three different events that all involve the person and work of Jesus. His birth… His death… and His RESURRECTION! On April 1st were going to have our RESURRECTION SUNDAY. You say, “That’s April Fools!” That’s what makes it AWESOME! It was the tradition in the early Eastern Orthodox Church of telling jokes on Easter. You say, “Easter is not a laughing matter,” but they told jokes because on Good Friday the Devil thought he had won, but God got the last laugh on Easter Sunday when Jesus rose from the dead. The monks called it, “The Easter Laugh,” and it became known as a day of joy and laughter. Try to imagine how intimidating it might be to walk into a crowded place. It takes a great deal of courage to come to church for the first time. Yet we have never been more crowded and studies have shown that when a church is 80% full, it’s FULL. So we are not only FULL… we are way over capacity. So, PLEASE if your able sit as close to the front as possible and leave the back pews open for our guest. Park as farther away than usual if you can. Also, be on the lookout for new faces and as you greet them, ask God to show you what to say and do. Let’s not only prepare our hearts for what God wants to do in our lives, but also in the lives of others. I also want to remind you that your pastor is only as good as your prayers. Please pray not only for me, but for our Sunday School Teachers, Nursery Care Workers, Breakfast Club Crew, Safety Team, Worship Team, Greeters and Ushers that we would reflect Christ. … and let’s gets excited to once again relive THE RESSURECTION OF JESUS CHRIST! Comments Off on Resurrection Sunday! The past couple of months I’ve been writing about the commitment we make when we become a part of Medina United Methodist Church. In addition to acknowledging Jesus as our Lord and Savior, we ask you to support this church with your Prayers, Presence, Gifts, SERVICE, and Witness. This month I want to talk about what it means to support the church with your SERVICE. (Born 1875 – Died 1965). Schweitzer was a man with multiple earned doctorates including a PHD in philosophy and PHD in theology. He was also one of the greatest organist of his day. You know what Switzer did? He went back to school to become a Medical Doctor. His plan was to go to the mission field as a Medical Doctor. In Africa, he converted a chicken coop into a makeshift hospital. Switzer went on to win the Nobel Peace Prize. 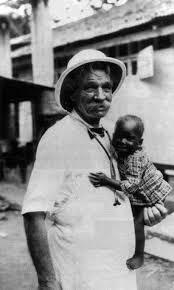 Albert Schweitzer’s theology was simple: You cannot know God until you SERVE Him. For Schweitzer, SERVICE was the issue of the cross. He believed that the theologians of his day had made Christianity so intellectual that they had lost touch with the simplicity of Christ’s command to LOVE GOD and to LOVE YOUR NEIGHBOR as yourself.